Having a full understanding of the pros and cons of the cloud will give you a much clearer picture of how to use it, which in turn will help you to effectively visualise and strategise your business goals. Like an invisible blanket, the internet floats over our heads, connecting us to everyone and everything, enabling us to immerse ourselves in a new form of reality. It’s the very roadmap of the future, where structural restrictions are made flexible, and “progress” is the word of the day. Technically, some people even call it a “cloud,” made up of signals it receives and transmits at the same time. The best thing about this cloud is that it cancels out the need for any cumbersome hardware, and makes all kind of operations functional from any device at any time. In the commercial sector, the advent of the cloud has proven to be a game-changer. The whole concept of an “office” has changed. It’s mostly virtual now, with great flexibility of time and space - all because of cloud implementation. What does this futuristic transition entail? It allows you to store, manoeuvre, and access, analyse, and backup both data and software. It also allows you to create and manage apps over the internet without having to resort to your computer’s hard drive. It provides an online dashboard which can be used by your firm to wirelessly connect with clients. All you need to do is subscribe to a trusted cloud provider, and you’re good to go. But does cloud computing come free of all shortcomings? Or does this advanced technology have some advanced flaws as well? Of course, the answer is the latter. 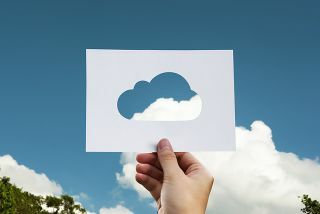 Having a full understanding of the pros and cons of the cloud will give you a much clearer picture of how to use it, which in turn will help you to effectively visualise and strategise your business goals. When you put all of your eggs in one basket, you’re basically playing a game of chance, a game which will result in one of two outcomes. The eggs might remain sheltered and well-guarded. Or they might get exposed, cracked, or stolen. Such are the possibilities which you might have to deal with once you move all of your data, your business’ foundation, on to the open cloud platform. Data confidentiality and security are the most crucial challenges you might have to face. Is it safe enough? Is it secure enough? Is it well-protected against cyber-attacks? There’s no way to be exactly sure, unless you go for data-shielding and encryption software. Imagine you’re running a little coffee shop. During the afternoon, the place is usually jam-packed with students from the nearby university, making it really difficult for you to discern who’s actually there to buy bagels and who’s a freeloader trying to taking advantage of the rush hour. Similarly, because of the poor identity authentication mechanisms of cloud computing, hackers are known to sneak their way into a business’ online platform, disguised as official users. This makes it harder to spot or apprehend them. They’re free to intercept data transfers, release malware in the core, and redirect clients to faulty domains. This is sure to shed a negative light on your business’ overall integrity, unless of course countermeasures are adopted. Suppose there’s only one electrical outlet beside your bed. To it, you’ve attached the laptop charger, smartphone charger, gaming console, portable cooling fan, and the hairdryer. Is it going to eventually overload? Almost certainly. In the same way, when a single cloud server is made to the bear the data load of more than one website or company, it is more likely to result in an outage, no matter what the provider says. It is only a cloud after all, and sometimes clouds pour rain on everyone. Especially during critical operations, a shortage is detrimental to the business’s overall health and performance, unless you’ve backed-up your data with an instant site recovery solution. For businesses set in their traditional ways, it is more challenging to transition to the cloud. It’s like asking your grandfather to ditch his reading glasses in favour of contact lenses. It’s not an impossible feat, but quite difficult for them. In the same way, a business owner/manager will be less willing to lose control of their private data centre, delegate power to the cloud provider, and place sensitive information on the internet. Not only that, the lack of resources and expertise is enough to dissuade many, unless they have ironclad will and tactics up their sleeve to make more money from the cloud transition made over their Xfinity internet connection. Think of an art student. They have been trained to create works of art using two hands, adding a brush stroke here and a brush stroke there. So imagine their surprise when they are tasked by the teacher to design a poster on Photoshop. It’s surely an upgrade, but a difficult one. Why? Because the sheer variety of Photoshop tools and options makes them unable to manage it all well. Their lack of expertise, leaves them confused beyond belief. Something like this happens when businesses shift to the cloud. There are so many options and complex controls available, meaning that without a clear organisational and governance policy, unmanageable mayhem is inevitable. Think of a one-room apartment inhabited by eight people. Can you imagine the chaos? This is what seems to happen in a multi-tenancy cloud framework. In most cases, only one cloud server powers the online activities of various organisations. Working so close together in such proximity, these multiple firms collaborate on the issue of applications, cloud tools, and shared resources. But this lack of a secure separation between their operations might lead to the loss of privacy or exposure of confidential data on open channels, which is like an all-you-can-eat buffet for hackers. You trade a wired camera for a wireless security camera in the hopes of automating your home, yet the advanced tech doesn’t come without its own set of problems. It depends on the internet to work, and if the network dies down, so too will it die. Similarly, once you give up hardware in favour of the cloud, you’ll be faced with new fiscal challenges. This is especially true if the business depends on data-intensive operations, because in that case, an internet connection without any data caps and with proper bandwidth is necessary, and that doesn’t come cheap. Cloud computing is indeed where the future is going, but to know its challenges and to deal with them effectively is the mark of a business.